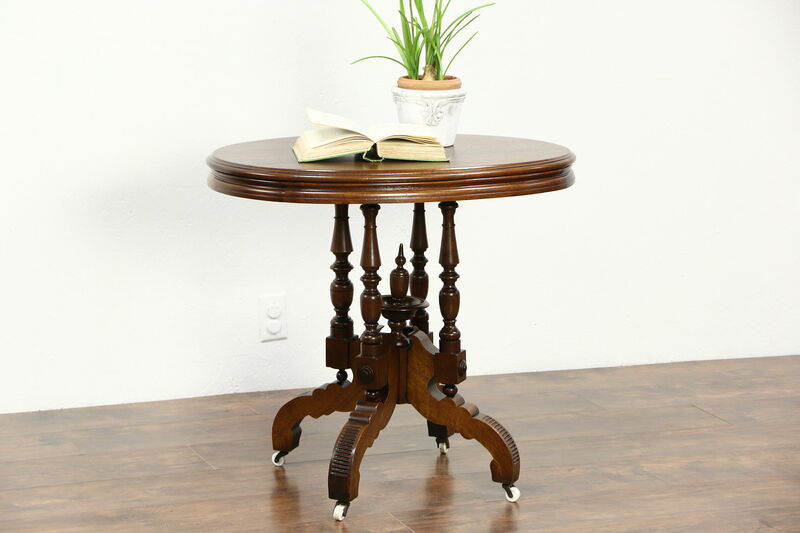 A Victorian period 1880's oval parlor or lamp table is solid walnut with a pedestal base, reglued to serve another generation. The restored finish is in excellent condition on this American made antique furniture. Porcelain wheels are original. Size is 31" long, 23" wide and 28" tall.